Lake Shore Systems, Inc. employs a highly specialized team of logistics engineers, successfully providing logistics products to government and private industry for over 40 years – including Navy, Army, NAVAIR, Department of Energy (DOE), as well as commercial mining operations in the United States and worldwide. 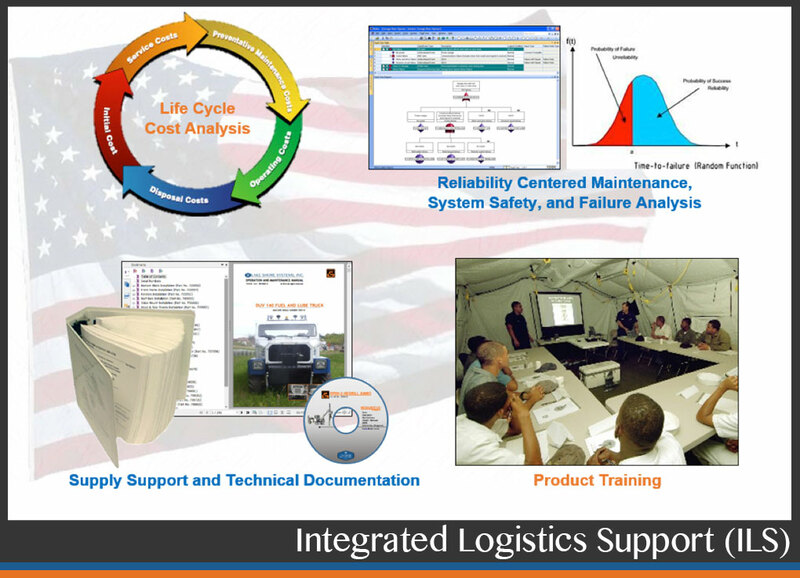 The key to a successful logistics program is effective integration. Our ILS program uses a concurrent multi-disciplined approach to combine engineering and logistics. Upfront interface and systems engineering ensure incorporation of supportability and safety critical design factors. Let us put our experienced staff to work for you.